This week, it was reported that the International Olympic Committee (IOC) decided not to extend invitations to three Russian biathlon racers: Alexei Volkov, Yevgeny Garanichev and Anton Shipulin to the games, effectively barring them from competition. The IOC was sparse on the details, saying only that doping tests taken by the three sportsmen at the 2014 Sochi Olympics may have been manipulated. Gross, winner of four Olympic gold medals, three silvers and a bronze, and twenty more at World Championships events between 1991 and 2007, became a senior coach for the Russian men's biathlon squad in 2015. On Wednesday, the sports legend spoke to Sputnik Deutschland about the IOC's decision. "This is an absolute s*** situation, I'll say it as it really is," the trainer said, unable to restrain himself. "The International Biathlon Union said everything was in order, and then in one stroke the IOC has a different opinion." According to Gross, the "unsupported, unproven information" presented by the IOC is "completely incomprehensible" to him and his athletes. Asked if there was anything that could be done to correct the situation, the coach admitted that time was playing against them, and that these sorts of decisions naturally have an impact on morale. "I do not yet have any information on how the IBU will react, and whether we will be able to take some legal action. This is a question I cannot answer, for the time being," he said. For now, the trainer noted, there is nothing left to do but to continue training. "We will do our best and, will of course hope that everything will turn out for us, and that we will be able to participate." 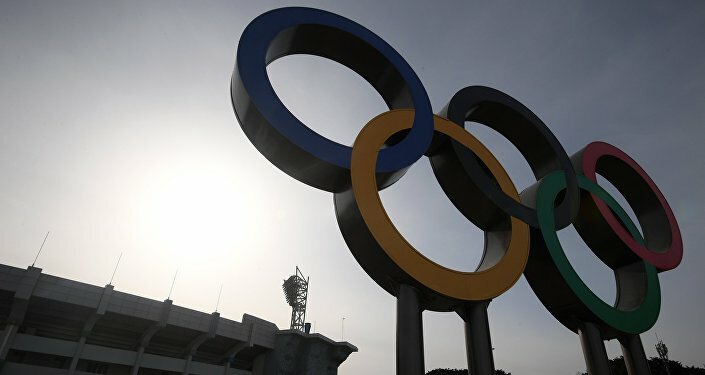 Last month, the IOC Executive Board suspended the Russian Olympic Committee from participation in the 2018 Winter Olympics over alleged "systemic manipulation" of the anti-doping system, and took away several medals won by Russian athletes said to be guilty of doping at the 2014 Sochi games. The IOC said it would allow only 'clean' athletes to participate in the Pyeonchang games, and onlyl under a neutral flag. In response, Russian athletes who received a lifetime ban filed at least 42 appeals with the Court of Arbitration for Sport, with the final decision on their cases expected to be delivered by January 31. The 2018 Winter Olympics will take place February 9-25. The Russian Olympic Committee's Athletes Commission said it would support Russian athletes who wanted to compete at the Pyeongchang games.